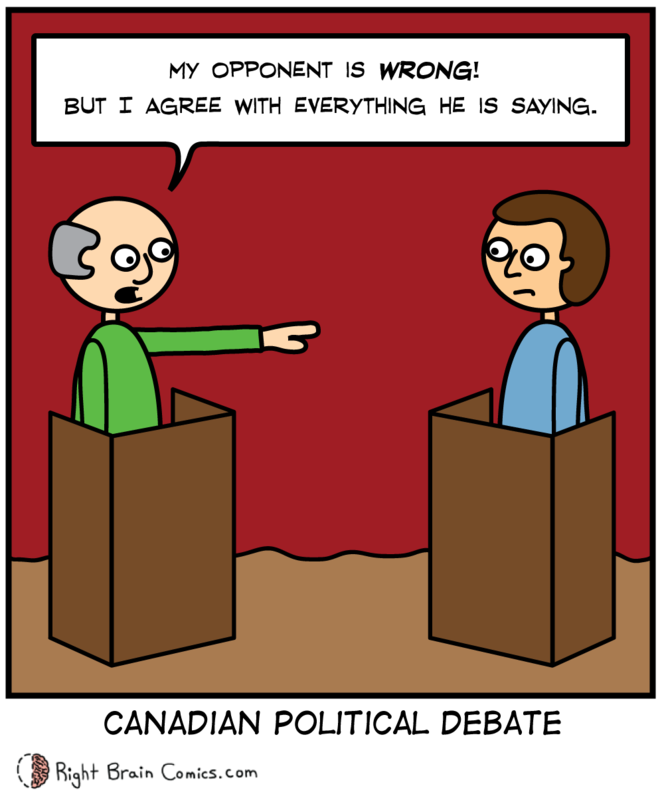 Right Brain Comics - 53 – Debate, Eh? What’s this? An update? A new art style? You can’t handle all this? Well, sit down because that’s not all. I’m currently working on a secret project that I’m not ready to share yet. But soon… soon. The Canadian political leaders debate was on tonight and this was what I saw. Except with more finger pointing and a few zingers.